Now in their 25th year, Toronto's Cowboy Junkies remain consistent. Few things have been as magnificently consistent as the songwriting and music of the Cowboy Junkies. Over the course of their 25-year, 17-album history, the bands distinctive, signature sound -- dark and sultry blues, sparse harrowing arrangements, and the ethereal vocals of Margo Timmins -- has never wavered. Renmin Park, the first in a planned four-part series of recordings to be released over the next 18 months, continues on the same proud, artistic creative path. Inspired by songwriter Michael Timmins’ three-month trip to Jingjiang, China with his family while adopting two children, it incorporates looped recordings of Chinese street performers, parades, children chanting and even a badminton match, among other found sounds. Further, it includes covers written by two of the country's most prominent rock artists. Additional inspiration was found in the paintings of Cuban-American painter Enrique Martinez Celaya, whose four paintings, collectively titled “Nomad,” created the basis of the Nomad Series and will serve as the cover art for the recordings. Michael Timmins the storyteller has infused Renmin Park with a fictional love story about a couple from opposite sides of the track, a Chinese West Side Story, so to speak. “Stranger Here” could be the story’s theme, the most rocking song on the CD (by Cowboy Junkies standards, that is. Howling, biting electric guitars and swirling organ mesh amongst lyrics of a hero in a foreign land. “I am the righteous man, the one you’re looking for, I am a stranger here,” Margo’s elegant voice bellows against the clang. The dark and harrowing blues return on “I Cannot Sit Sadly By Your Side”, a scathing murder ballad written by Zuoxiao Zuzhou. With lovely piano and thundering low bass thumps, it’s classic Cowboy Junkies at their best, with just a hint of Pipa (a Chinese type of lute) that adds a Western cultural flare. Without question, the CDs centerpiece is Xu Wei’s “My Fall,” with an upbeat tempo that betrays the song's heartbreaking ache of loneliness and hopelessness over distance between lovers. A lovely string quartet and eloquent percussion surround Margo’s dark and sultry yet melodious vocals. 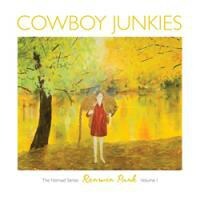 Steel guitar and Hammond organ gives “Little Dark Heart” a country-kissed twang that would fit right in place on the Cowboy Junkies' southern rock opus Black Eyed Man. Zuzhou contributes native vocals on his own song, covered here by the Cowboy Junkies, “A Walk In The Park”. It has a dark and foreboding, bluesy tone, haunting and atmospheric. The Cowboy Junkies have never been a band that chased fads in music, nor aimed to appease with radio hits. But with 25 years of history, they remain one of Canada’s finest and most consistent in terms of songwriting and sound.